Meet Jesse, a university student and entrepreneur. Jesse grew up in Leguruki village in Meru District in Northern Tanzania where the majority of people farm avocados, including Jesse’s family members. Despite good markets for avocado, 98 percent of Leguruki avocados do not make it to the market; their thin skins make them susceptible to rot or damage during transport along Meru’s bumpy, unpaved roads. Because of his education, Jesse has traversed a different path. Having heard about how Kenyan farmers process avocados for their rich oil for cosmetics and consumption, Jesse started his own company called AvoMeru, which buys and processes local avocados. With no avocado presses available locally, Jesse developed his own prototype thanks to support from Twende, a makerspace in Arusha. He now organizes farmers into networks in Leguruki, and demonstrates how to compress the fruit into oil for sale. As a young entrepreneur, he gained important know-how from Twende and access to funding for materials through local networks, such as TanzICT and Mohammed Enterprise. A local hero, he has changed perceptions and behaviors about farming in Tanzania. Like Jesse, an estimated 900,000 young people enter the job market in Tanzania each year to find fewer than 60,000 new positions in the formal sector, according to the International Labour Organisation. Although they may have skills and education not available to their parents’ generation, nearly three-quarters of youth will end up in informal employment in agriculture. 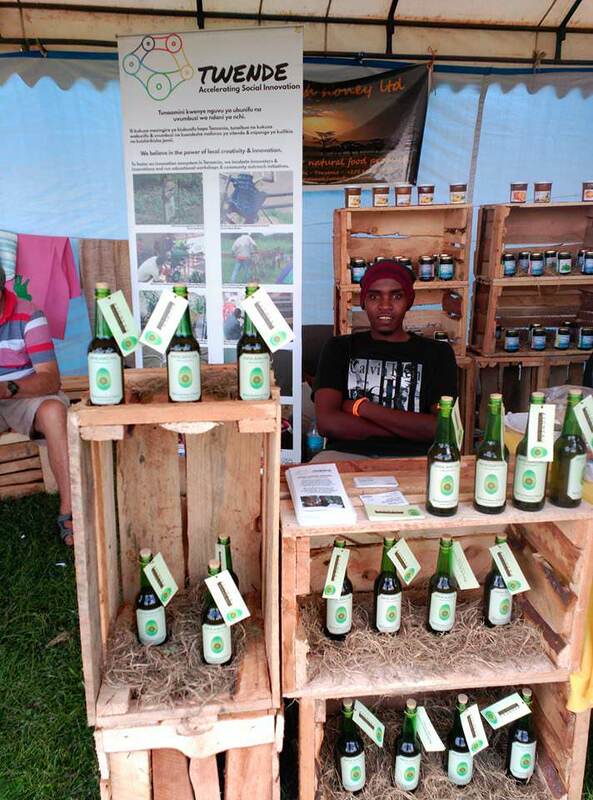 Jesse represents one of the success stories of young agricultural entrepreneurs. For Jesse, the agriculture industry has great employment potential, although currently lacks structure and sufficient market information on demand. He hopes that Tanzanians will see improved market systems from the new government, including increased foreign investment and policies to encourage exports. DAI youth experts recently met Jesse and others as part of a study of Tanzania’s entrepreneurship ecosystem. The DAI team visited Twende, a makerspace in Arusha that offers classes in creative capacity building and design thinking as well as a support system of local entrepreneurs. Twende acts as a springboard for local youth, both mentally through coaching in creative problem solving skills to design small-scale solutions to local problems, and by providing the venue and machinery to design and develop prototypes. Martin, an up-and-coming software developer, notes that for young people in rural areas, “going to school does not mean employment” and that he realizes that he will “need to take (his) own measures.” Access to materials for ICT or agriculture presents a major challenge for youth entrepreneurs according to Martin. “Tanzanians need to figure out how to make it better so that we can improve our own lives,” he says. In Tanzania and throughout Sub-Saharan Africa, DAI implements USAID Africa Lead, a capacity building program that cultivates a cadre of leaders within the agriculture industry who champion causes such as increased innovation in agriculture, greater agricultural productivity, and greater food security. In Tanzania, Africa Lead is collaborating with a media partner to provide content on two TV programs, “Makutano Junction” and “Don’t Lose the Plot,” to engage youth in agribusiness enterprise development. In addition to learning from the 30-minute weekly episodes, the media outreach team implements an interactive text messaging campaign to provide potential young agribusiness entrepreneurs with basic knowledge in key areas of small agribusiness development, derived with technical input from the Africa Lead team. As DAI continues to expand its work in Tanzania, the team remains committed to better understanding the entrepreneur ecosystem and engaging youth as champions for future programming. Despite the employment odds, the interviews we held with young people revealed an optimism and interest in developing their own entrepreneurial projects. The positive exposure to new ideas and the Maker approach that enables people to develop their own local solutions to hyperlocal challenges has found root in Tanzania’s youth. Through creative problem solving workshops and meaningful skills building exercises, makerspaces shape the entrepreneurial mindset, create linkages, and foster peer-to-peer learning. Although nascent, the entrepreneurial ecosystem in Tanzania is beginning to grow. Committed to fostering innovation, we see great potential for nurturing local expertise and providing collision points for innovation.